Confederation Secondary School received a $1,000 donation from the Greater Sudbury Airport Rescue and Firefighting team on November 21, 2018 to support the school’s Students Against Poverty Drive (SAPD). The initiative was spearheaded by firefighters Trevor Gilbert and Geoff Hutchison, who wanted to support a local cause with a strong impact on young people in the community. The firefighters continue to contribute to the SAPD with food donations. In its third year, the SAPD has raised some $4,000 to provide food, socks, toiletries, bus tickets, laundry services and warm beverages to students throughout the year. 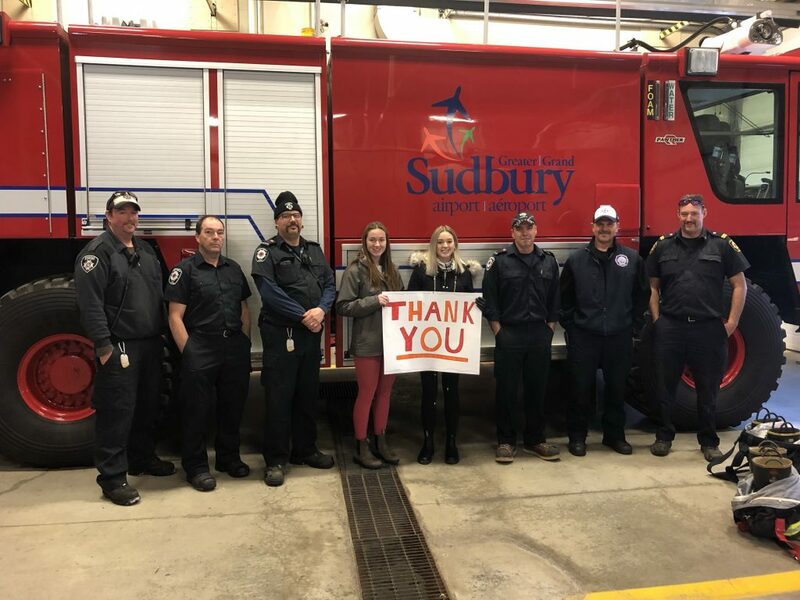 During the donation, volunteers on the Students Against Poverty Drive Committee enjoyed a tour of the Greater Sudbury Airport Firefighter operations, including the trucks. Originally created by the military, the trucks carry over 6,000 litres of water. On November 21, 2018, members of the Greater Sudbury Airport Rescue and Firefighting team donated $1,000 to the Confederation Secondary School Students Against Poverty Drive. From left, firefighters Rob Grooms, Geoff Hutchison, and Jean Beausoleil join student Claire McInroy and Students Against Poverty Drive Chair Logan Blanchette, along with firefighters Trevor Gilbert, Dan Marconato and Rob Oldridge.